Hatsune Miku is coming to Steam VR in early 2018. Hatsune Miku is coming to Steam VR in early 2018. 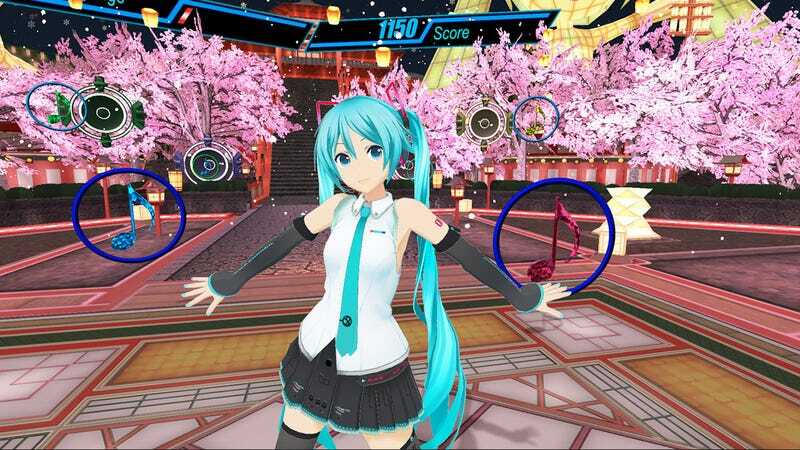 Hatsune Miku VR from Degica Games is a new virtual reality rhythm game featuring eight songs from the digital diva’s most popular composers, with additional track releases planned post-launch. I might play it. Maybe. I guess.